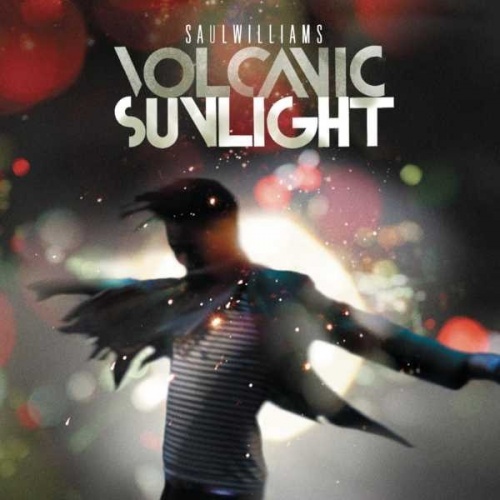 Volcanic Sunlight is musician, poet, and actor Saul Williams' fifth long-player. It was preceded by the single “Explain My Heart” and, on the album date (11-11-11), followed by a second one, "Patience." Those who enjoyed Williams' last effort, 2008's Trent Reznor-produced The Inevitable Rise and Liberation of Niggy Tardust (Niggy 2 is rumored to be in the offing), or any previous recording of his for that matter, might initially scratch their heads at the sounds -- and material -- on Volcanic Sunlight. Produced by the venerable Renaud Letang -- who has worked with everyone from Feist to Manu Chao to Jane Birkin -- this is reportedly Mr. Williams' "pop" record. While there is certainly pop here, that's a misleading assumption. While this set doesn't possess the same jagged urgency and aggression of Niggy Tardust, it is as ambitious. Williams utilizes hip-hop, funk, disco, '60s garage rock, new wave, and dubstep, all the while keeping his lyric chops intact. While the spoken word introduction to album opener "Look to the Sun" is the only place his trademark rapid-fire delivery is unadorned, it exists amid the musical backdrops in numerous places here. His rhymes are as head-sqeeze tight as ever. Check "Explain My Heart," with its waves of distorted guitars, crunchy keyboards, thudding drums, and in-the-red skittering loops; his verses pop off like lighted torches. Accessibility does have its benefits, as tracks such as "Triumph" and "Diagram," which contain those instantly recognizable melodies and softly sung lines, attest. On "Girls on Saturn," amid a Bollywood melody accompanied by cracking loops and percussion, Williams rhymes at spitfire speed while his backing chorus shout-sings the refrain like the early B-52's! "Give It Up" channels ? & the Mysterians' back-to-basics garage-birthed rock (Letang's primitive guitar playing) with Vincent Taeger's explosive rim shots, accompanied by a throbbing keyboard bassline and Williams' mantra-like Farfisa -- even when he begins to rap. The single "Dance," a duet with Janelle Monáe, kicks it in funky primitivist style, led by a wobbly bassline and a sample from "Disco 82" from the Bollywood classic Khud-Daar. This track is where the terrains of David Bowie, Gwen McCrae, Prince, Rick James, and Chaka Khan commingle -- it's pure decadent, sonic danceable pleasure. "Rocket," with its clattering rhythms and crisscrossing industrial synths, might have been an outtake from Niggy Tardust, but its gorgeous melody counters that notion. Album closer "New Day" was written to be a pop anthem, but it's simply too skewed, busy, and twisted in Letang's wonderfully muddy mix, making it a manifesto for the future. Volcanic Sunlight, despite its sharp contrast from Niggy Tardust, is an absolutely fitting follow-up; it's Williams once more wriggling out of preconceived notions by subverting them entirely.